A group of River students is working on the farm animals' names “Animales de la granja.” They are also reviewing the colors in Spanish. Some students write confidently, others just copy the words, and others prefer to trace the words artistically. Some students read fluently and others can read supported by images. The materials are designed to help every student feel success in Spanish. 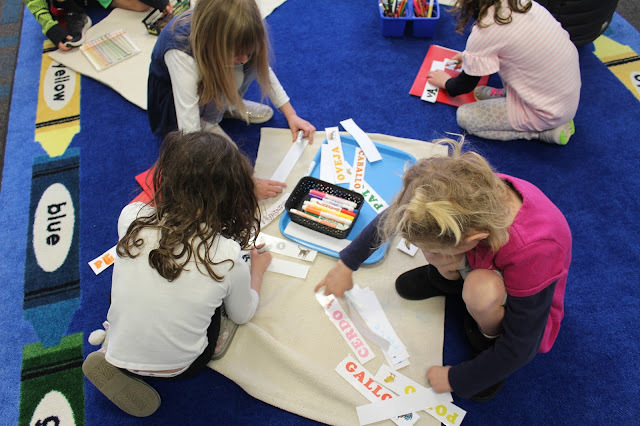 Working in a cooperative way promotes the use of the Spanish language in the class.